Lorenzo went to visit our friends in Bavaria at Stonewood Rangers. 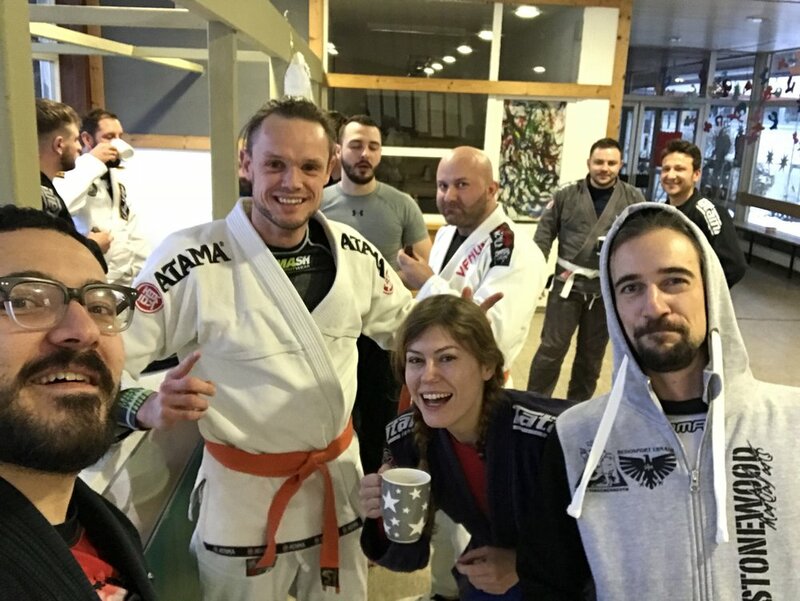 This is the third year WaveBJJ has visited our Bavarian friends and it's always a pleasure to share the knowledge and train and drink with these guys. Stonewood Martial arts is a school in Ebnath, Bavaria. The closest big city is Nuremberg and from there you can take a scenic train ride to Neusorg which is a stone throw from Ebnath. The school has around 40 members all of them are very dedicated and is taught by Andi. "What is a typical Bavarian dish Andi?" "Are you sure? Seems to be a lot of meat on this menu?" There was also a grading and a shark tank. Lots of new stripes and one belt this time and an epic shark tank for Karsten. In 2018 we will be doing a big group trip to Bavaria. Keep your eyes peeled for more information.